Over 20,000 different books in stock! 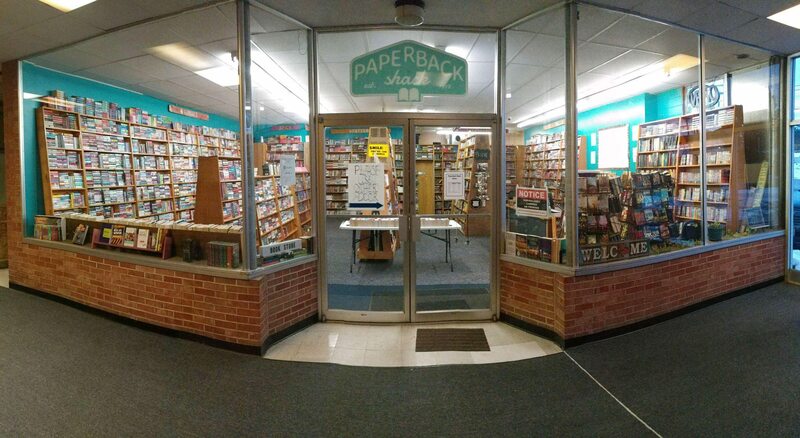 Paperback Shack is located in Niles, Ohio in the shopping district. We are 0.8 miles from The Eastwood Mall on the corner of routes 422 and 46. Please check out our Contact Us page for more information about how to find us. Paperback Shack is an independent bookstore specializing in paperback fiction. We sell new and used books. Our collection includes new fiction paperbacks, classics, young adult, general fiction, best selling fiction, romance, spicy, western, history, paranormal, fantasy, sci-fi, horror, mystery, and thriller. We will take in your gently read paperback books in exchange for store credit. Please see our selling guidelines here.